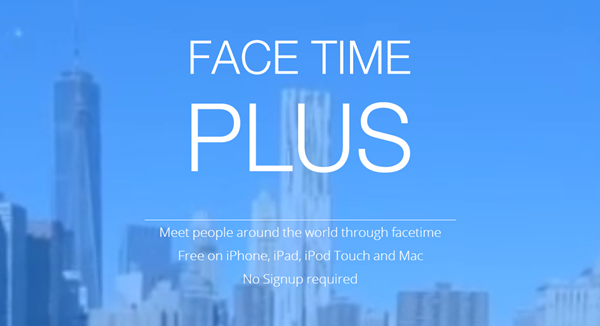 FaceTime Plus Is Like Chatroulette For Apple FaceTime Users, And It’s Free! 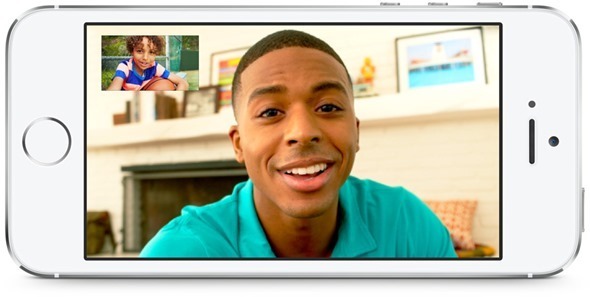 FaceTime serves as a great way for owners of iOS device users to communicate in a face-to-face manner, but while it’s ideal for video chatting with family and friends, there’s no platform for meeting new people. Thanks to a new little website called FaceTime Plus, though, this is now possible, and in essence, it’s very much FaceTime meets Chatroulette. For those unfamiliar, Chatroullette enables folks to randomly connect and make conversation, and has been knocking around the Interwebs for a good few years now. To spice things up as far as FaceTime is concerned and allow users to meet new people, FaceTime Plus provides a Chatroulette-like service for those on iOS and Mac, and in actual fact, it works rather well. To get started, you simply head over to the FaceTime Plus site, enter your email address, and then you’re matched with similarly-minded people. You cannot control who’s email address you receive, but once the exchange has completed, you can then begin FaceTiming via the app on your device. It’s definitely an interesting concept, although we doubt very much that Apple will follow through with a feature similar to what the FaceTime Plus folks have sought to achieve. After all, not everybody is looking to video chat with strangers online, and with the likes of Chatroulette available for this very purpose, one could argue that there’s very little point to FaceTime Plus. But still, it does make use out of a feature that is, by and large, ignored by iOS and OS X users. If you’re looking to network and make some new friends, or simply want to make better use of your FaceTime app, be sure to head over to the FaceTime Plus website and throw your email into the hat. 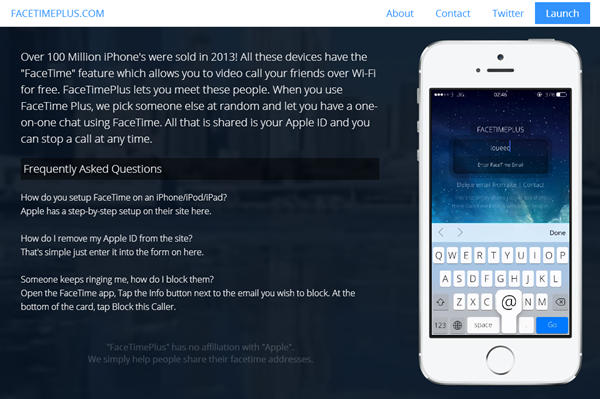 It would, of course, be nice if the FaceTime Plus service could somehow be integrated with the app itself, but nevertheless, it serves its purpose, and if you want to try it out, point your iPhone, iPad or iPod touch’s browser to facetimeplus.com right now. The website has everything you need to know get up to speed, which is rather nice. If you do end up giving FaceTime Plus a whirl, be sure to let us know how you get on by dropping a comment via the usual mediums below!